Cheap flights from main airports in the UK to Las Vegas from £218! Cheap return flights from Amsterdam to Sao Paulo, Brazil from €388! Cheap flights from main airports in the UK to Santiago de Chile from £393 return! One more suggestion today based on British Airways / American Airlines this time discounted return flights from main airports in the United Kingdom to Las Vegas. The cheapest option is available already for £218. (Incl. all taxes, onboard meals but excluding checked luggage). Look for flights departing from Inverness, Manchester, Glasgow, Newcastle or Aberdeen. Adding link to our previous Virgin Atlantic deal from London to Las Vegas as this solution is now even cheaper and you can book non-stop flights from just £264.. This Oneworld promotion is valid for flights departing from the United Kingdom from beginning of November to 18th of December 2018 or 10th of January to 28th of March 2019. Max stay 12 months. Book by 13th of October or until sold out..
Travel dates. : You can easily compare here at the website of British Airways. As this deal is an attractive solution not just for travelers within UK we recommend to check your connection possibilities through service of Skyscanner. This tool gives you quickly an idea which airlines are available from your home city. Please note that when booking the cheapest fare available you would have to accept two layovers on your way. For slightly higher fare (vary by origin airport in UK) you can also book return flight to Nevada with just one layover on both ways. 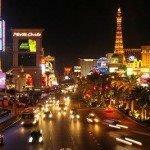 Booking sample of cheap flights from main airports in the UK to Las Vegas from £218! In this case you would be departing from Inverness to Las Vegas, Nevada on 16h of November. Your return flight from United States back to the United Kingdom would be on 1st of December 2018.